Contrary to popular opinion, it’s possible to have too much of a good thing. Knowledge is power, but when you’re overwhelmed with information, you’ll soon get stuck. Some call it analysis paralysis, while others label it the paradox of choice. The more options you have, the harder it is to pick one. It’s also been established that picking among multiple choices is more likely to lead to buyer’s remorse. In the eLearning field, too much content can be detrimental. With all that knowledge to absorb, online learners might give up and tune out altogether. Help them avoid this unfortunate result by following this step-by-step guide to eLearning content curation. According to Wikipedia, there are three main kinds of content curation: collaborative, semantic, and social. Collaborative filtering and social rating are similar propositions. They rate the value of content based on what people are saying about it. Platforms that use collaborative systems include Facebook, YouTube, Amazon, Reddit, and Pinterest. By looking at what others say about a piece of content, you can decide if it’s worth your time. Semantic analysis uses keywords to categorize content you might be interested in. It will then curate and present you with materials it thinks you might be interested in. Stumbleupon uses this system. There are different types of eLearning courses. Some are skill-building eLearning programs aimed at raising credentials and widening work opportunities. Others are corporate in-house classes intended to improve internal workflow. The content of the eLearning course will depend on the needs of online learners. If your eLearning course is already in progress, your eLearning content curation will focus on supplementary learning materials. Ask your online learners what kind of content they require. Is it a case study for real-life context? A deeper dive into a topic they may not have fully absorbed? Some practical online training activities to apply the skills they’ve learned? If you know what they need, you have a better idea of where to look and how to find it. When you’re trying to figure something out, mind maps are a useful tool. They help you expand a single idea in different directions. They can also be used to merge seemingly discordant concepts by discovering overlapping points. Start with the main area of focus that online learners have requested. You can write this idea in a circle at the center of the branch. Draw little arrows and circles that branch outwards, with each circle containing a tangent. Use this brainstorming technique to incorporate your online learners’ requests. Within the same mind map, include your own ideas on how to fulfill those requests. Your circles can include questions to expand your thinking even further. A quick Google search will offer hundreds of hits on the topic you’re researching. However, just because a website is at the top of your list doesn’t make it valid. There are numerous criteria used to rank pages in search engines. Not all of them are suitable for your eLearning course. As you select sources to extract information from, develop your own ranking system. Content from credible websites and news sites like CNN and BBC is good. Ensure that you’re using the main websites rather than tangent lifestyle sites. Tangent sites often crowdsource content, so they’re not as deeply vetted as the main news pages. You can also get material from the official websites of top firms within your industry. Cross-check multiple verified sources to ensure accuracy. We already looked at the main three, but there are further subdivisions. You can use them to develop your individual eLearning content curation. The five subdivisions are aggregation, distillation, elevation, merging, and chronology. Aggregate your content by creating a relevant list of links that you will share with online learners. If the list is too long, distill it down to the five most relevant ones. Elevate your larger list using similar patterns. For example, all forum comment threads, e.g. Quora, Reddit, etc. go on one list. All blog posts go on another list. Alternatively, merge the different sources into a single unit, maybe an infographic or flow chart with rich links. For chronology, create a timeline featuring all your sources. If the material you’ve gathered is voluminous, you can subdivide it by topic, chapter, or module. This defines its relevance and sequence within the eLearning course. Make the whole system intuitive by creating a content page. Each item should contain a rich link so that online learners can easily navigate these resources. Use clear, concise, descriptive content so that online learners know exactly where to go. The description should mention the type of content i.e. video or audio clip, static image or illustrative chart. Ideally, each topic should have reference material in various formats. Some online learners prefer visual cues while others would rather listen and learn. Try to make sure they all have the option they need. eLearning content curation is a labor-intensive process that can quickly become overwhelming. Taking the step-by-step approach can make your task far more feasible. Start by identifying major content curation methods and select the one you prefer. Ask your online learners what kind of materials they require, and collate their ideas in a mind map. Spot credible information sources and divide the information using sub-curation methods. Create a content guide to show your online learners how to use the information you’ve gathered. 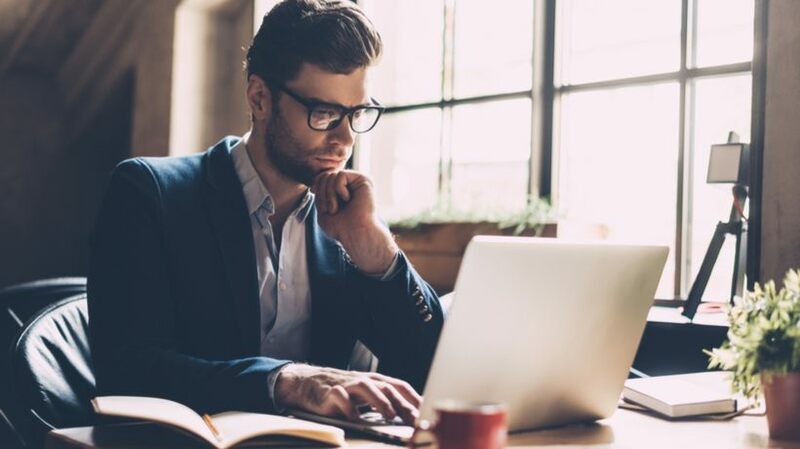 With these suggestions, eLearning content curation should be faster, easier, and more effective. Do you know how to analyze and organize curated eLearning content? Is there a thorough way to curate eLearning content into learner-friendly formats? Do your curated online resources make the grade? Are they relevant, relatable, and reliable? Are they helping online learners absorb the information more effectively? 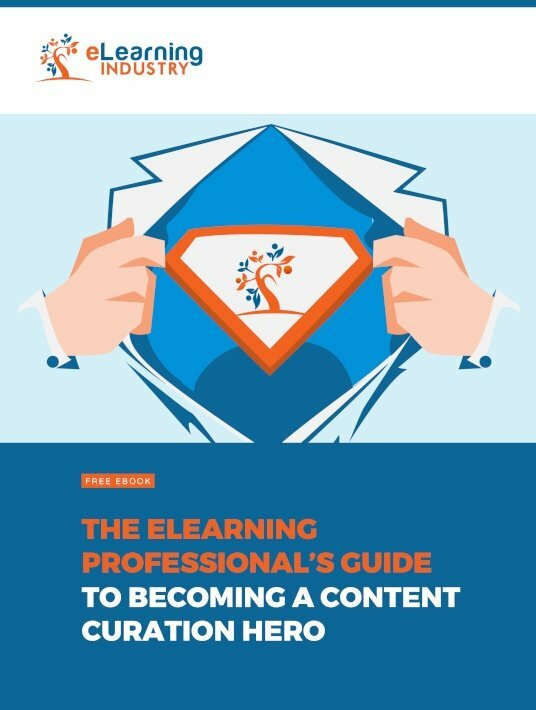 Download our free eBook The eLearning Professional's Guide To Becoming A Content Curation Hero to uncover more tips and tricks. You’ll find out how to analyze online resources and automate the content curation process to save time and resources.